The Greek insurance market is dynamically entering agricultural insurances, in the framework of seeking additional outlets in its operations, appreciating that the sector has untapped potential, which was not realized up to now via the state structure supporting agricultural insurance, farm land exploitation, crops, seeds, etc. Already, major Greek companies (of international and Greek interests) evaluated international developments in insuring the agricultural sector (see below) and have begun preparing special products in order to address the wide audience of agricultural production, and all relevant aspects. Additionally the role of ELGA (Hellenic Agricultural Insurance Organization) is being examined at an institutional level, and there are information that representatives of the insurance market have contacted the state, in connection with ELGA’s operation up to now, covering the agricultural sector, and how private insurance firms can obtain a part – under fair competition terms- of the agricultural sector. According to sources, the Greek insurance market and the companies which will spearhead the entry in insurances complimenting the agricultural sector, are discussing on the basis of: providing insurance contracts – and motives- so as the farmers to increase their production. Moreover, by contributing in the development of transportation networks, and distribution channels, offering live and health coverage to farmers with low income, so as to decrease the degree of being exposed to various dangers. It is claimed that agricultural production will be increased at least 60% up to 2050, to cover the food needs of earth’s increased population. Insurance companies can play a major role in encouraging production and investments, protecting farmers, as well as increase sensibility, regarding the dangers faced by growers. It is estimated that the production of agricultural insurances globally in 2011 was $23,5bln, of which emerging markets represented approximately $5bln. From 2005 to 2011, agricultural insurances from emerging markets increased about 30%, while a large price of production belongs to China and India, which jointly possess 62% of the total production insurance of emerging markets. Despite the observed increase, penetration of private insurance in emerging markets continues to remain at low levels – in relation to the actual needs – and according to the report there is the possibility for insurance production in that sector to quadruple. In 2011, production in insuring agricultural exploitations is estimated to be $23,5bln globally. Compared to the production of the sector in 2005, ie $8bln, we can see that within 6 years it almost tripled, presenting an annual average growth rate of 20%, almost double the development rate of agricultural added value around the world, which on average is over 11% at the same time period. Production in agricultural insurance in emerging markets over-quadrupled during the same period and in 2011 it reached €5.2bln. The share of emerging markets in the insurance production increased from 13.4% in 2005 to 22% in 2011. “Key”-markets for this development were the markets of China and India, which represent 62% of the agricultural insurances from emerging markets in 2011. Coalitions between the state and private sector. The cooperation between the governments and private insurance companies has increased in the past years. Agricultural insurance programs differ in each country and are shaped based on socio-economic developments, agricultural practices, infrastructures and each government policies. Therefore, there is not a single “recipe” which can be implemented everywhere and each market needs individualized products/programs which will cover the needs of farmers, producers and other organizations. Determinative factors on the structure of these programs are the dangers which have to be covered, the kind of coverage (obligatory or optional), involved parties (government, privates or both) and the support of programs from the State. Agricultural insurance programs are different in each country and in developed markets like USA, Canada, Australia and Europe, there is a long history of agricultural insurance. These markets are characterized by large scale agricultural practices using the latest technology, established supply chain and easy access to funding. The governments in these markets support the agricultural sector with grants and tax relief. Also, the insurance market is well structured, with specialized insurance and reinsurance companies, while the agents-brokers contribute to the distribution of programs. There are also recorded data which are of great importance during product pricing. On the other hand, agricultural insurances present a rapid development in emerging markets, where agriculture is a vital part of the economy, since the great part of the public is relying on agricultural production. For example, approximately 60% of the population in India, Thailand and Vietnam are dependent from agriculture. Agricultural practices differ greatly amongst the markets. However, we can see that Russia and Brazil have a similar model to that of developed countries, presenting with large scale crops and the use of contemporary technologies. While India, China, SE Asia and Africa present a different image, dominated by small farms and a latent development in the supply chain. USA’s agricultural insurance program is the largest in the world. The insured value is estimated at $114bln and the insurance production about $12bln. It is a model supported in the collaboration of private insurance companies and the public sector via the Risk Management Agency (RMA), which is part of the American Agricultural Ministry. RMA is involved in the design of products and the management of subsidies, cooperating with insurance companies. Agricultural insurances in the USA is dated from the 1930s, with the formation of Federal Crop Insurance Corporation (FCIC) which focused on insurance coverage of large crops. Following the program was reinforced and expanded to cover multiple crops in 1980, 1994, and 2000. In 2000, the legislation encouraged larger participation of the private sector in the development of agricultural insurance products. Brazil is the fifth largest country producing agricultural products. It mainly produces sugar-cane, coffee, soybeans, corn and cotton and its agricultural production accounts for 6% of gross domestic product. Farmers are faced with the dangers of drought, excessive rain and price variability. The state supports this market with subsidies for insurances and with a state insurance program for damages caused by catastrophic events. The Brazilian government in 1973 established PROAGRO, securing small and middle sized crops. The State provides great support to farmers, and that is why a small portion of crops are insured with private firms. 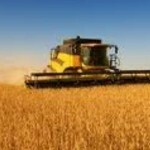 Insurance production in the agricultural sector is about $16mln. About 80% of the total agricultural land in Russia is managed by great businesses and former coalitions, 15% is comprised by middle-sized scale exploitations and the remaining 5% pertains to small family units that are destined for personal exploitation. Despite the fact that agriculture is a significant part of the Russian economy, employing 10% of the country’s employable population, and reaching 4% of GDP, it is faced with problems of low productivity, since there is a lack of specialized workers, insufficient management of dangers and lack of motives to work. Agricultural insurance market in Russia was transformed in the early 1990s, following the abolishment of obligatory insurance coverage. Then devastating droughts took place in 2009 and 2010, pointing out the need for a new legislative framework regarding insuring crops. That is why in 2012 the government legislated new terms and prerequisites for state support aiming to increase the insured crops from the current 10% to approximately 70% in the future. The agricultural sector is highly significant for India’s ecomy, since it represents 19% of GDP and 15% of the total export revenues. About half of the population is dependent from agriculture in order to survive. Also 80% of crops is dependent from the weather conditions and for that reason agricultural insurance has a determinant role in protecting from radical weather conditions. The government has established a state insurance system for agricultures which was introduced during the 1970s and in 1990 created the National Agricultural Insurance System (NAIS). However, these systems have bot insured about 95mln farmers. For that reason during 2010-2011 India begun a test trial for an amendment of NAIS system aiming to reinforce insurance penetration, protect the farmers and use of tools like proportional studies. This program was in collaboration with the private sector, and begun by insuring about 360.000 farmers and with gross insurances in 2010 reaching $10mln, while the total coverage amount surpassed $151mln. China is also one of the countries which appear a great agricultural production, which represents 10% of GDP and employs 40% of man-power. The market deals with challenges relating to extreme weather events such as floods, droughts and hurricanes. Following a significant decrease in grain production during 1999-2003, the Chinese government proceeded to a series of actions in order to reinforce agriculture, including the increase of subsidies and securing minimum prices for the grain market, and also providing direct subsidies. The development of the agricultural sector since then has remained amongst the priorities of the Chinese government. Especially since 2007, the Chinese government has supported the farmers with subsidies of agricultural insurances and is granting the national pilot program MPCI, which was initially entailing 6 regions and a series of basic types of crops. In 2012, this pilot program expanded and now covers the whole Chinese population and additional kinds like cereal, cotton, sugar-canes etc. The central government is also planning other insurance programs which will deal with forestry, livestock and rubber. Additionally, some specialized crops which do not fulfill the prerequisites for subsidies, are supported by the regional government. Following all these actions the agricultural insurance in China has an annual increase of 70% approximately, resulting to an increase from $300mln in 2007 to €2.500mln in 2011.